The use of storage has tremendously increased over the past decades. And, it is for a very good reason. Nowadays, people use it in various situations. It is not only useful when you want to downsize or when relocating, but in so many other situations as well. And that is why the competition on the market has become huge. Those who want to stay competitive in the market need to put additional effort and to invest more in their storage facilities to beat their competition. Amenities to look for in self-storage facilities should be the ones that can respond to your requests. This article will give you an insight into what features should quality storage have. A premium quality storage unit is what you are looking for. What people generally use a storage unit for? Certainly, the better the storage unit is, the more chances will it have to be rented. 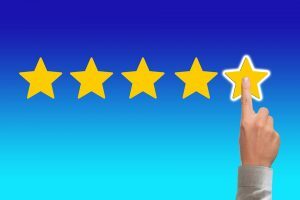 And if you are planning to rent a self-storage facility for any of the above-mentioned reasons, or for some we did not include, it is in your best interest to find the one which really ticks the most of the boxes on your wish list. People say that money, time and security is never enough. And that’s something you should really pay attention to when looking for a safe storage unit, especially if you’re moving far away which only increases the need to find a self-storage facility in which your things will be maximally secured. By hiring long distance movers Canada, your relocation will be so much easier. Moreover, you can use their experience to help you find a perfect storage unit in the area you are relocating to. That will be much more convenient for you. Since you won’t have to spend a lot of time commuting from your accommodation to storage you can use that time to do other important jobs. If the storage unit is monitored around the clock, that will reduce the risk of breaking into it. This is of utmost importance no matter if you only put some old items or items of high value. We are sure you don’t want anyone to cause you damage. Therefore, you might want to think about good outdoor surveillance cameras that would put you at ease. Certainly, knowing that you always have a watchful eye, will greatly release you from stress. Have the doors secured. 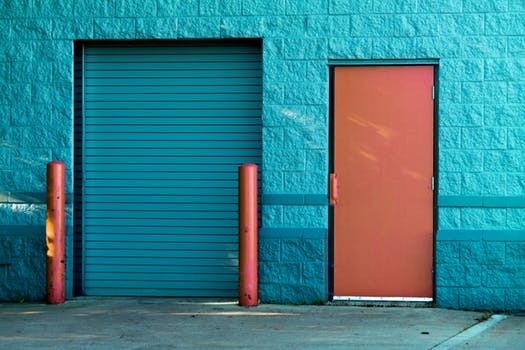 Besides choosing a storage unit with reinforced doors, door alarms and security locks are also one of the amenities to look for in self-storage facilities. Luckily, the offer is really huge. 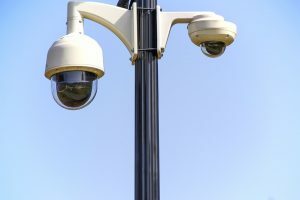 But, if you do not have enough experience, it might be a bad idea to consult some of your friends, colleagues, or family if they could recommend you some particular model of surveillance cameras. Make sure that the unit is well lit. This line of security goes along with the surveillance. If there’s not enough light around the storage unit, it would be more difficult for cameras to record clear images. And in case of an unauthorized entrance, it might be more difficult to discern the doer. There are storages which only allow the entrance during certain hours. This might be a little bit inconvenient if those hours don’t fit your personal schedule. 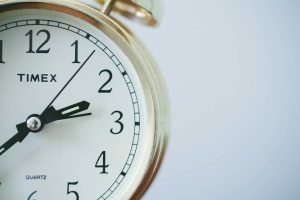 So, the flexibility with hours is one of the most important amenities to look for in self-storage facilities, we suggest you spend a little bit more time for locating one than settling for something that doesn’t really do much for you. For instance, if you happen to be in Ancaster area, you’re planning to move here, then you should definitely contact Ancaster movers who can provide you with the best assistance when it comes to your moving venture, but also for helping you find the best storage facility that will fit your budget and needs. This is something that should be found on the list of important features which the storage unit should have. You see, in case the unit is not equipped with this amenity, that might mean that you won’t be able to store some temperature-sensitive items such as some antique furniture, or electronics. Moreover, with this possibility, you can also control the level of humidity inside the storage unit. This should put also put you at ease because your items won’t get damaged or won’t get attacked by pests of any sort. Also, it will keep the metal items from rusting. A storage unit which can’t guarantee you the safety of this kind is of no use to you anyway. So, keep looking. One of the reasons people pay too much for their storage units is because they didn’t find the one that suitable for their case. You see if you have just a couple of items you wish to put away, it is pointless to pay for a large size storage unit. That this both the waste of space and money. Instead, have a conversation with the owner to assist you in finding the one that will be of the right size. But even if you have a small budget, yet a little bit more items, you can still use some tricks to organize the unit and make room for everything. This is really important. Imagine having a unit with tons of things inside. It would take you forever to find the one you are looking for. We hope that this makes it more clear why the appropriate size is one of the most important amenities to look for in self-storage facilities. Knowing some of these things will hopefully help you focus on finding a storage unit that’s worth paying for. Putting trust in a self-storage facility is much easier if you know that it has all the levels of security. Prev How to store your piano?